Contemporary Japanese architecture has, over half a century, achieved world-wide recognition not only for its highly innovative, often futuristic qualities, but also for its sensitive response to Japan’s cultural and physical context in the challenging setting of its increasingly urbanized environment. Today it is admired perhaps as much as its traditional counterpart, with which it often maintains a meaningful dialog. Botond Bognar’s Architectural Guide Japan introduces over 700 of the most prominent examples of this fertile architecture, while out-lining its development since the mid-19th century until the present in a concise historical essay. All texts and the individual entries are illustrated with about 750 color photos, all taken by the author, and many drawings. 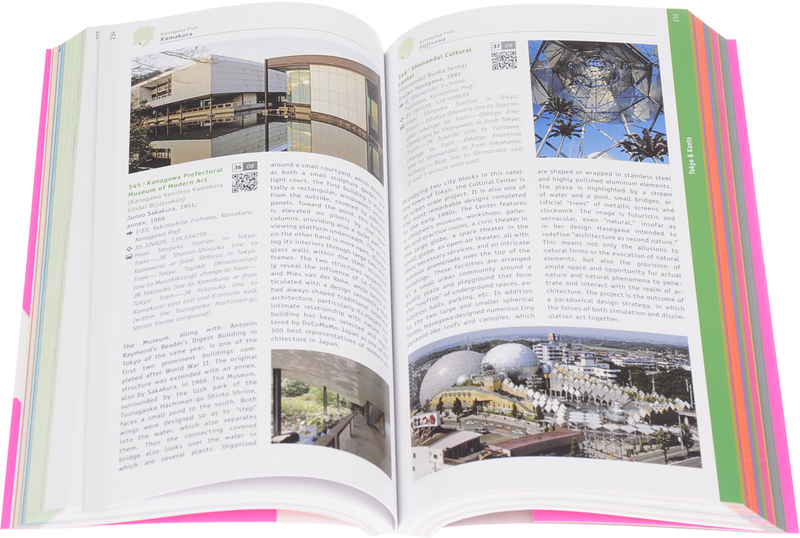 Detailed information about each entry is enhanced by geo-data in the form of QR codes.